In this book, a clinical scientist highlights youth psychotherapies that have been tested and shown to work. Treatments for fears and anxiety, depression, attention deficits and ADHD, and conduct problems and disorder are described in detail, their conceptual basis explained, their clinical application illustrated by richly developed case examples, and their prospects for use in clinical practice examined closely. This clinical perspective is complemented by summaries and critiques of the empirical evidence on each treatment and by commentaries on what questions remain unanswered. 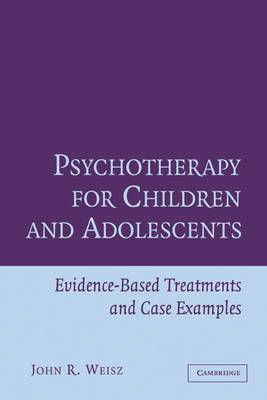 The author's clinical and scientific experience converge to produce a uniquely valuable experience on exemplary treatments for children and adolescents.